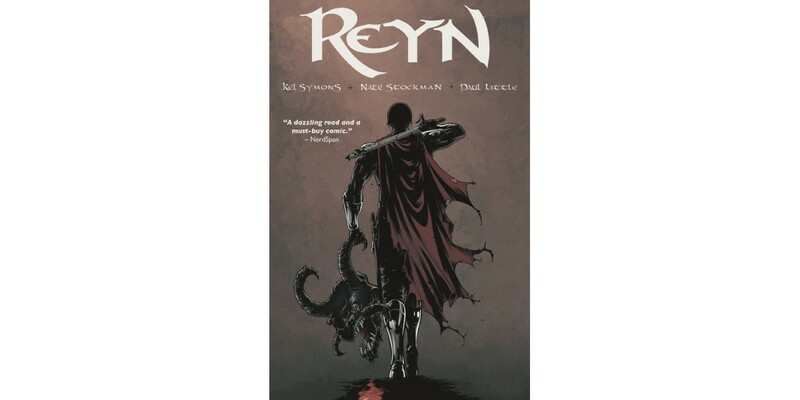 Writer Kel Symons (THE MERCENARY SEA, I LOVE TROUBLE) and artist Nathan Stockman team up for a rich, world-building fantasy in REYN, VOL. 1: WARDEN OF FATE. The first five issues of the new fantasy series will be collected into a trade paperback and available this June. In REYN, VOL. 1, freelance swordsman and monster-hunter Reyn is the last of the legendary “Wardens” whose ranks long ago faded from the land of Fate into myth. Not exactly a white knight, Reyn’s haunted by visions from his “guiding angel” Aurora, who sets him on a great quest against the mysterious Venn, teaming him with Seph, a woman with witch-like powers. Together they discover Fate holds an incredible secret. REYN, VOL. 1 (ISBN: 978-1-63215-282-4) hits comic book stores on June 17 and bookstores on June 30, and will be available for $9.99. It can be ordered by retailers from Diamond Book Distributors with Diamond Code APR150615.